You see a map that demonstrates territory of Russia, of Ukraine. free map of Zhilino with gps calibration displayed. 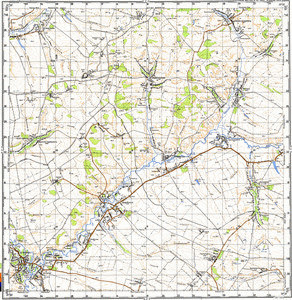 free map of Volokonovka 1 cm to 1 km here. free map of Verkhnyaya Serebryanka 1 cm to 1 km for Garmin. actual map of Poddubnaya calibrated displayed. detailed map of Novobelaya with gps calibration for you. detailed map of Lozovyy for gps. interesting map of Krivonosovo download for free. topographic map of Ivanovka free download. actual map of Bondarevo free download. actual map of Aleksandrovka и OziExplorer calibration here. detailed map of Trembachevo with gps calibration for gps. free map of Stepnoye calibrated for Garmin. topographic map of Pavlenkovo for Garmin. map of Pantyukhina 1 cm to 1 km displayed. topographic map of Novobila и OziExplorer calibration for Garmin. detailed map of Litvinov calibrated for gps. actual map of Kozlov 1 cm to 1 km displayed.